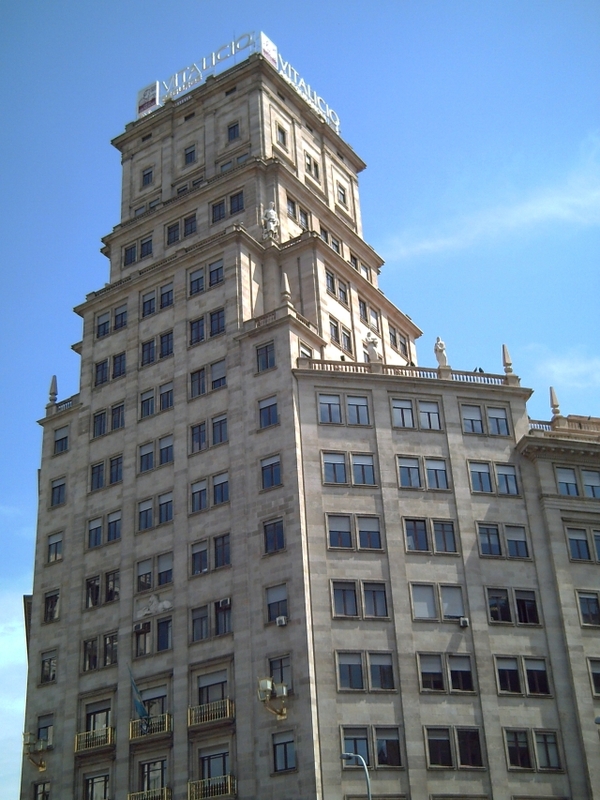 In 1897 two companies called La Previsión and Banco Vitalicio de Cataluña merged into Banco Vitalicio de España, the insurance company we know nowadays. The first president was Claudio López Brú, in other words, famous Marques of Comillas who led Banco Vitalicio to top ranking positions in the market of life insurance companies. Besides life insurance they also dealt with cargo and transportation insurance. After the war, in 1943 the company also started to emerge in other sectors such as fire insurance, car insurance, etc. 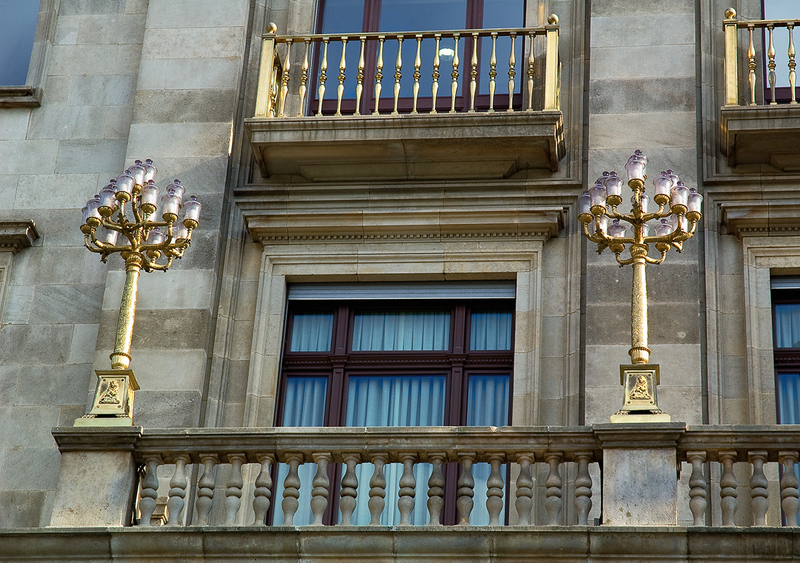 The headquarters at Paseo de Gracia where these beatiful lamps can be seen, was built in 1950 over the old Palacio de Samá premises. After 1991, Banco Vitalicio was completely absorbed by Central Hispano-Generali Insurance Holding who owned most of the stocks. At present it is presided over by José María Amusátegui de la Cierva. In 1997, a new modern and intelligent building was founded in Gran Vía de les Corts Catalanes. After more than a 100 years Banco Vitalicio is still one of the leading insurance companies in Spain. This is a picture I took back in 2006 of the whole building: Banco Vitalicio de España. barcelona is nice, but overrated. it is not quite at the level of the great cities of the continent. Maybe. For some people yes and for other don't. Who wants to be number one! Thanks. amazing facade. definitely a postcard moment. it warmed me-up in this rainy day. have a nice day carlos. Thanks for your nice words. Glad it helped!